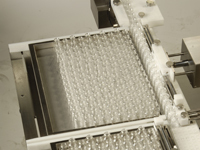 Vials filled with potent drugs such as antibiotics, cytotoxics and cytostatics need to be cleaned before further processing. 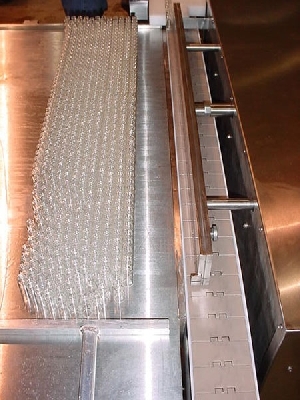 SP PennTech’s unique solution to this requirement is achieved by enclosing the aluminum cap between two opposed belts. 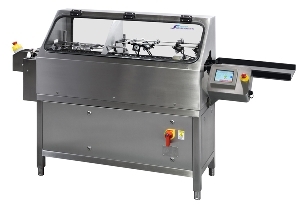 The seal that is created prevents the cleaning agent from entering the cap area, thereby eliminating potential future bacterial contamination. 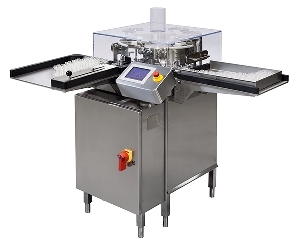 Another advantage of sealing the cap is the application of pressurized water for cleaning the entire vial body, including the bottom. 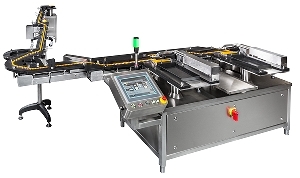 Operation is menu-driven through the human machine interface (HMI). 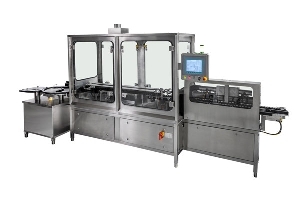 PLC-controlled servo motors automatically set the output rate, the vial height and the water/air flow per vial size. 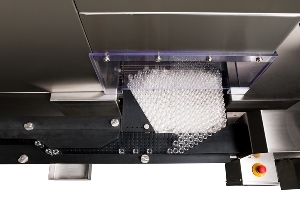 The changeover to a different cap or vial format is tool-less and can be accomplished within 15 minutes. 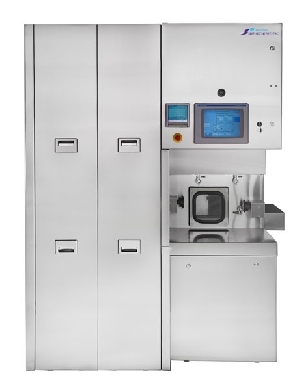 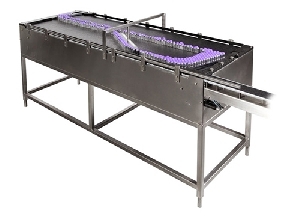 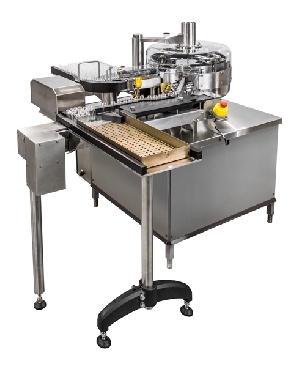 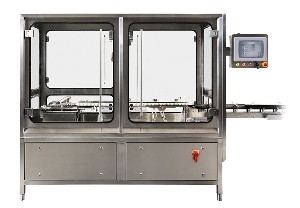 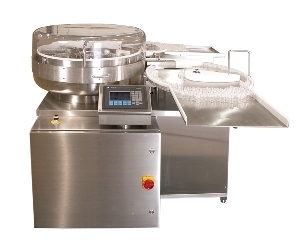 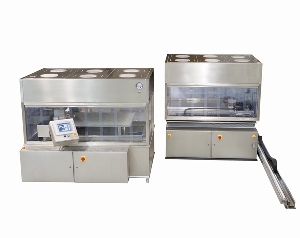 Dimensions 51.8x127x127.4cm (WxLxH) Purpose Compact in-line vial decontaminating machine designed to rinse pharmaceutical vials Vial Range 2-100ml Output Up..
Dimensions 209.5x84.5x198cm vial running surface 85-95cm Purpose Compact in-line vial decontaminating machine designed to rinse pharmaceutical vials Vial..
Dimensions 360x84.5x198cm Purpose Compact in-line vial decontaminating machine designed to rinse pharmaceutical vials Vial Range 2-500ml Output Up to..